This article was written by our Kathleen (PTRP) who is a regular contributor to our site for articles related to fitness and cognition. References are mentioned at the end of the article. Meditation has been a common practice for Buddhists for centuries now. They claim that meditation may consciously improve mental control over focus and emotion. And because of this, scientists have conducted numerous studies comparing the brains of mediators to non-mediators, and how meditation affects the brain. The results for these studies show that meditation does benefit the brain. The Buddhists claim that meditation results in more focus and brain power; this can be attributed (scientifically) to an increase in gamma brain wave activity. According to the Buddhists, meditation provides resistance to stress. This practice may also increase serotonin levels while decreasing cortisol and adrenaline levels. Moreover, meditation increases happiness; this may be attributed to an increase in the left to right prefrontal cortex activity ratio. During meditation, some of our physiological functions slow down, such as our heartbeat and breathing rates, thus giving the meditator a sense of relaxation. In contrast with sleeping, meditation retains the waking awareness. During this relaxation phase, a chemical called arginine vasopressin, helps in the formation in new memories as well as enhancing recall of past experiences. When an EEG (electroencephalogram) is conducted on a subject’s brain during meditation, rounded wave shapes called alpha waves are demonstrated. This is associated with the brain’s relaxed state. However, EEG results also show a new signature that involves a very fast rhythm called the gamma rhythm. This is involved in attention and sensory awareness or even in consciousness. Moreover, the gamma waves indicate neural synchronicity, which refers to the coordination of different areas of the brain in highly ordered thought. This gamma activity may mean more brain power and results in higher attention and focus. Aside from the brain power that it provides, meditation also increases your overall health and well-being. It makes you happier as well as strengthens your immune system and ability to face stressful situations more effectively. SuperBrain Yoga is a simple technique that poses to increase intellectual capacity and sharpens both memory and concentration. It has been scientifically approved to help you energize your brain and enhance its sharpness and clarity. It is basically a form of acupressure and breathing technique used to balance both the right and left hemispheres of your brain by bringing energy up to the brain. What are the benefits of SuperBrain Yoga? It energizes and activates the brain by synchronizing alpha brain waves. It reduces psychological stress and improves psychological stability. It results in greater intelligence and creativity. It promotes proper functioning of the brain. Remove all jewelry and stand up straight. Place your tongue on the roof of your mouth right behind your teeth (as if you were about to say “La”). Leave it there throughout the exercise. Take your left hand and cross your upper body to hold your right earlobe with your thumb and forefinger. Make sure that the thumb is in front. Now take your right hand across your upper body to hold your left earlobe. Again, make sure that the thumb is in front. At this point you’re pressing both earlobes simultaneously. Make sure your left arm is close to your chest and inside your right arm. Inhale through your nose and slowly squat down to the ground. Hold your breath and do not exhale until you start making your way back up to a standing position. Repeat this squatting action 15 to 21 times. Remember to keep holding your earlobes and to keep your tongue touching the roof of your mouth throughout the entire exercise. You may not notice a change immediately, but after a few weeks an improvement in concentration should become apparent. In order to keep a healthy brain, you should keep your body active and healthy as well. This is because exercise, especially aerobic exercise such as brisk walking, keeps your blood vessels in good shape. Dr. Maree Farrow, a neuroscientist and research fellow with Alzheimer’s Australia says, “the blood vessels in your brain are absolutely vital, and the healthier we can keep those, the better off we’ll be.” A number of studies also indicate that physical activity helps with the growth of new brain cells and new connections between brain cells. It also boosts the levels of certain chemicals in the brain that help keep brain cells healthy. While providing some cognitive benefits, exercising has so much more to offer. This includes lowering the risk of cardiovascular disease, improving the immune system, and many others. The emWave, a product of HeartMath system, is based on scientific research conducted on the psychophysiology of stress, emotions, and the interactions between the heart and brain. It explores the critical relationship between our emotions and the brain, and describes the heart’s role in communicating with the brain and facilitating synchronized brain activity. With emWave and genuine practice, users may experience optimal cognitive performance, increased mental clarity, enhanced focus and decision-making skills, and better sleep. This tool facilitates a more positive attitude. The emWave is now readily available at a discount cater to your cognitive needs. Being in a healthy physical and mental state does not only give you numerous health benefits but also affects your daily outlook and perspective, making you a well-rounded individual. Remember that a healthy body gives you a healthy mind. 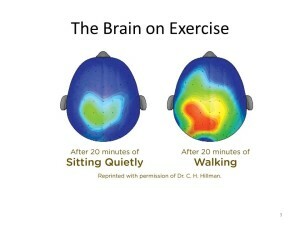 Staying physically fit and active is one of the most important ways you can enhance your brain’s power. In addition to the exercises, various nootropics can also be used in conjunction with your daily routine. You might think of adding Phenylpiracetam to your daily regimen. This kind of Racetam is believed to be 30 to 60 times more potent than its parent compound Piracetam. This nootropic does not only promise to give you cognitive enhancements, but it may enhance your physical performance. These benefits are experienced because of increased levels of noradrenaline. It is recommended that you conduct more research on your smart drugs and see which supplements could fit into your lifestyle. We have a few supplements you can purchase through trusted partners, by clicking here. 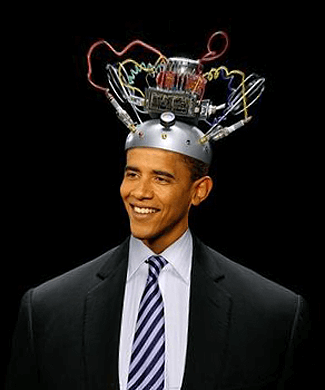 President Obama is known to have taken modafinil. Does your brain feel like giving up when you’re studying or participating in mentally challenging activities? Your body wants to push even harder just so your mind can concentrate and focus however, your brain isn’t cooperating. Let’s say you have a great physique and good health, but your brain just isn’t doing its part- you feel mentally drained, exhausted, and lack drive and motivation. You feel numb and can’t recall a single piece of information from your memory nor can you learn new ideas that are presented to you. Caring for your brain is one of the most important things you could do for your overall health. It can help you think better and faster. Various researchers have now come up with ways to boost your mental intelligence and help you meet your demands at work or school. Here are some of the ways you can increase your brain power. Presently, there are numerous pills, supplements, and smart drugs that are manufactured synthetically for the sole purpose of enhancing mental intelligence as well as influencing mood and behaviour. Among the most popular smart drugs today are the Racetam family. They are considered nootropics, and they improve one or more aspects of mental function including, but not limited to, memory, motivation and/or attention. Phenylpiracetam is a synthetic derivative of its parent compound Piracetam and is thought to be 30 to 60 times more potent; it belongs to the Racetam family. The addition of a Phenyl ring to the original structure of Piracetam makes this nootropic very potent, as it can easily pass the blood-brain barrier. The added structure increases the affinity in Norepinephrine and Dopamine, thus promoting vigilant concentration, cognitive alertness, and motor control. Moreover, it resembles the organic compound Phenethylamine, giving it a stimulating and energizing effect. Phenypiracetam has been used by athletes due to its ability to motivate, reduce effects of anxiety and stress, and provides energy like amphetamines. This enhancement in physical performance may be attributed to the increase in Noradrenaline levels. However, the use of this drug has been banned in the Olympics due to its psychostimulatory and cold resistance properties. Other than the Racetam drugs, there are various supplements also known to increase brain power such as Noopept, Choline sources, Adrafinil, and many others. Games, like pills, are just as important in promoting brain power. They have been used to stimulate the brain in specific cognitive functions. It is believed that when you exercise your brain more, your mental intelligence improves. One game that is gaining popularity is Dual N-Back. It was published under PNAS (Proceedings of the National Academy of Science of the United States of America). Their findings show that the game improves working memory and fluid intelligence- the capacity to think logically and solve problems in novel situations, independent of acquired knowledge. Dual N-Back involves remembering a series of spoken letters and a series of positions of a square at the same time, and then identifying when a letter or position matches the one that appeared earlier. Moreover, this game claims that it also enhances focus and attention, and can improve the symptoms related to ADHD/ ADD. Presently, Dual N-Back is available online. Supplementing with pills or smart drugs, as well as food intake, can help you improve mental intelligence. There are a lot of nutritious foods in the market, such as green leafy vegetables, that provide us with numerous vitamins and nutrients needed for proper body functioning. However, there are certain kinds of foods that may have a huge impact on our brain’s health and serve to improve cognitive function. One of the well-known brain power increasing foods includes berries and dark chocolate. Yes you heard it right, your favourite berry jams or chocolates may be very helpful for you. This is because these foods contain high amounts of Flavonoids- these are natural plant pigment compounds found in the food sources mentioned, especially in blueberries. Flavonoids have antioxidant properties and have several health benefits. They also play an important role in the formation of long term memory, also known as long term potentiation, which is brought about by the activation of neurotrophic factor, an important growth hormone in humans. Also, berries contain high amounts of Pterostilbene, a memory-enhancing nutrient. Aside from dark chocolates and berries, other foods that contain high amounts of Flavonoids include wine, green tea, and grape seed extracts. Another interesting way to boost your intelligence is through your diet. The Paleo diet, also referred to as the Caveman Diet or Stone Age Diet, is a diet plan based on the foods that our ancestors may have eaten. It is basically a high-protein and high fiber eating plan that aids in the prevention of diabetes, heart disease, cancer, and numerous other conditions. The diet promotes the consumption of lean meats and fish, fruits and vegetables, and healthier fats while avoiding processed foods, wheat, dairy, grains, and legumes. With regards to our mental health, there have been multiple studies verifying that the Paleo diet maintains and promotes brain health and cognitive function. A healthy stomach as well as essential nutrients and right nutrition yields to a healthy brain. Cranial nerve 10 or Vagus nerve is responsible for the communication between the stomach and the brain, and anything that upsets the digestive system has negative consequences to our mental health. The Paleo diet keeps our gut healthy and therefore, supports our mental health. It protects our brain from tissue damage and provides all the micronutrients and helpful bacteria that our brains need to thrive. As numerous research studies are being conducted nowadays, a lot of foods, supplements, and diets, with the aim of improving mental intelligence, have already been discovered. A combination of these methods may be very powerful and effective in boosting your brain power and fuelling you in your daily activities. As a result, you should be resourceful and motivated to reach your goal in improving mental performance. Click here to visit our shop to get started right away. Also known as L-Tryptophan, is one of the 22 amino acids and is also the largest among them. It can be found in many plant and animal proteins. It is an “essential” amino acid; this means that the body can’t produce it on its own. Therefore, tryptophan should be acquired from our diet. We need Tryptophan in our body to help produce niacin and serotonin. Vitamin B3 or niacin helps the digestive system, skin, and nerves to function normally. It also plays an important role in the conversion of food to energy. Serotonin on the other hand, is the neurotransmitter responsible for maintaining mood, balance and producing healthy sleep. Therefore, a deficiency can lead to depression and other unfavourable health conditions. Trytophan can act as a nootropic, as it effectively alleviates anxiety and depression while enabling you to achieve a restorative sleep. It leaves you feeling fresh when you wake up. 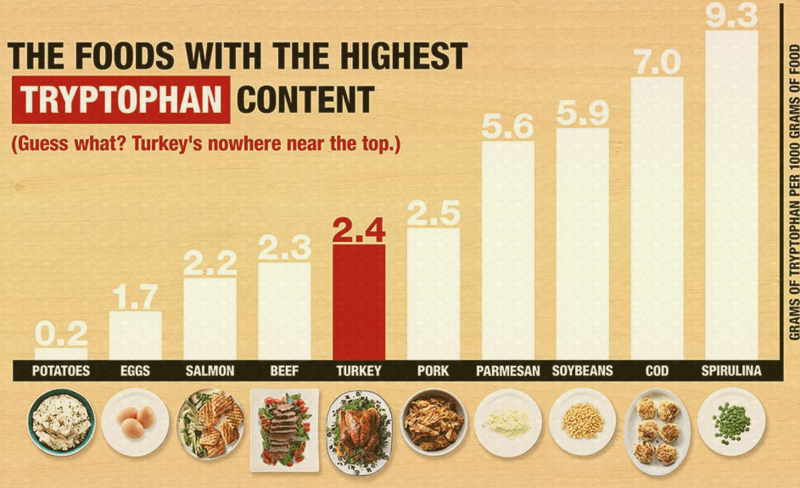 Food sources that are high in tryptophan include oats, walnuts, soybeans, eggs, and turkey. Tryptophan is fat-soluble and has a high degree of bioavailability. Deficiencies in tryptophan may be attributed from unhealthy eating habits and an unhealthy lifestyle; this leads to disturbances in mood and ability to fall asleep. What are the Benefits that Tryptophan Provide? Supplementation of tryptophan generally improves your sleeping patterns. This may be attributed to the release and synthesis of serotonin, an important neurotransmitter involved in maintaining healthy sleeping habits. Tryptophan maintains serotonin levels throughout the day and aids in the production and maintenance of melatonin levels at night. This allows you to relax and sleep better. Another benefit is that it has the ability to decrease appetite and reduce symptoms of anxiety (due to the release of serotonin). With low levels of tryptophan, you may be susceptible to depression and various anxiety disorders. Moreover, the niacin that tryptophan produces is used in the processing of fats and carbohydrates along with the production of several other neurotransmitters. Supplementation has been widely used as a treatment for symptoms of depression. People with depression have an imbalance of serotonin and other brain chemicals. But with added levels of tryptophan to your diet, it can significantly increase serotonin levels in the brain, thus improving symptoms of depression. On the other hand, tryptophan has also been prescribed for anxiety, sleep apnea, premenstrual syndrome, and many other problems. After absorbing tryptophan from food, our bodies convert it to 5-HTP (5-hydroxytryptophan), and then to serotonin, a hormone that transmits signals between nerve cells. It then causes blood vessels to narrow. As mentioned previously, changes in the serotonin levels in the brain can alter mood. Various conditions require different tryptophan dosages and dosage intervals. It would be best to consult your doctor before starting tryptophan supplementation. However, studies have shown that adults may take 8-12 grams of tryptophan per day, with divided doses three to four times daily. As for children, it would be better to consult your doctor for appropriate dosing. What Other Medications Should I Take Note Of When Supplementing Tryptophan? Anti-depressants (medications for depression) – Anti-depressants can also cause an increase in serotonin levels. When these two medications are taken together, it may pose a serious risk for serotonin syndrome. Serotonin syndrome is a condition that is caused by excessive serotonin in the brain; symptoms include shivering, anxiety, and heart problems, to name a few. Examples of anti-depressants include citalopram, desvenlafaxine, fluoxetine (Prozac), paroxetine (Paxil), sertraline (Zoloft), amitryptiline (Elavil), and many others. Monoamine oxidase inhibitor (medications for depression) – As mentioned previously, anti-depressants can also cause an increase in serotonin levels. When these two medications are taken together, the risks are similar to the ones mentioned above. Examples of MAOIs include selegiline, tranylcypromine (Parnate), phenelzine (Nardil), and many others. Sedatives or Tranquilizers (CNS Depressants) – Similar to sedatives, tryptophan also causes sleepiness and drowsiness. When these two are taken together, it may cause too much sleepiness. Examples of these sedatives include clonazepam (Klonopin), lorazepam (Ativan), phenobarbital (Donnatal), zolpidem (Ambien), and many others. Drugs that make you sleepy such as alcohol, muscle relaxants, and pain medication would increase Tryptophan’s sedative properties. Thus when taken with these sedative compounds, it would cause you excessive sleepiness. There have been a number of adverse effects associated with tryptophan usage. This includes weight loss, dizziness, dry mouth, headache, nausea, and improper sexual behaviour. Other side effects are agitation, confusion, diarrhea, fever, overactive reflexes, poor coordination, restlessness, shivering, sweating, shaking, twitching, and vomiting. Tryptophan promises to be a powerful supplement. It acts as a mood and sleep enhancer through the stimulation and release of serotonin levels in the brain. If you think that you are experiencing symptoms of depression, anxiety or have sleep disturbances, then you might want to consult your doctor before adding it to your diet. It is important to note that you are able to perform better, both physically and mentally, when you are well rested and in a good mood! Considering supplementing on Tryptophan, click here to buy it from us. 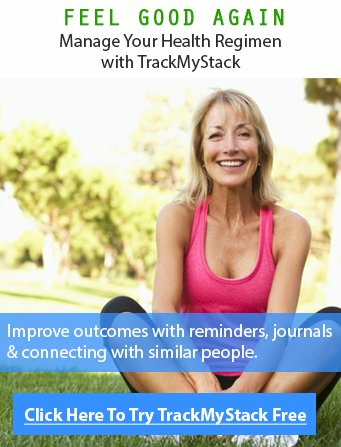 Additionally, you can check out how other trackmystacker’s are stacking Tryptophan. Most people are now aware of nootropics, which consist of a full range of supplements designed to improve mental health. The general benefits of these smart drugs include, but are not limited to, enhanced focus, memory retention and recall, and reduced anxiety and stress. There are a variety of nootropics available in the market; each with its unique composition and purpose. For instance, you can buy a nootropic that is completely made from natural elements or another that is made from laboratory-created compounds (synthetic nootropics); the options are limitless. Ha! Which Nootropics should you start with? Starting the path of nootropic experimentation is an exciting one. But the question is – Which nootropics should you start with first? When stacking it is recommended that you stack one nootropic at a time, in which way you can monitor progress and build your personal stack from there. It is important to understand your goals before choosing a nootropic. Once you know your specific cognitive and mental goals, you can go about buying the ideal nootropic stack. Which is the best format for buying nootropic? Although nootropics are available in both a powder and capsule form, it is best to buy them in a powder form. Buying bulk powder is the standard for anybody who is serious about extracting the maximum benefits from the nootropic experience. This may be challenging for someone that is not used to purchasing brain supplements but it is the most economical. Powdered nootropics are preferred over capsule forms, as they have a higher concentration or potency (sometimes because filler is needed to fill the capsule). In addition, powdered nootropics are less expensive to purchase, as the supplier is not spending money and time capping the supplements and cutting it. You will need to buy different measuring tubs, scoops and scales to make sure your doing it right, but if you have time — there is no doubt this is the way to go. 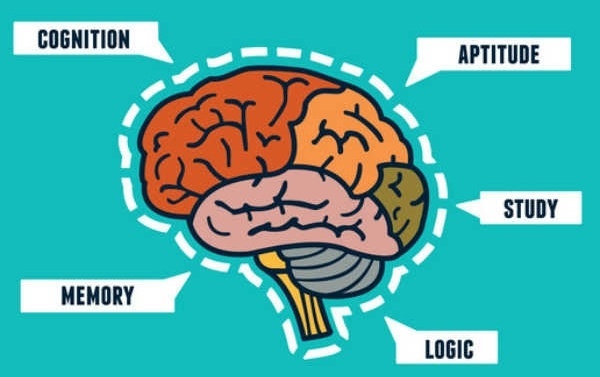 The most important point while taking nootropic powder is making sure you are taking the right dosage, whether it is Piracetam, Alpha GPC or Adrafinil, to name a few. You need to be very careful with concentrated nootropic powders like Noopept and Caffeine. Even a small change in dosage can dramatically influence your goals for the worse. You should choose the right dosage not only based on evidence based recommendations, but also based on your personal experience (and tolerable limits if you have built them up). In addition, a good measuring standard for preparing the dosage is recommended. Luckily, most nootropics are safe, and small deviation in dosage size will not cause serious side effects. However consumption of nootropic powder such as Adrafinil in wrong dosage can cause negative side effects. Lastly make sure if you are dosing on nootropics like racetams, you are getting your required choline intake as well to avoid headaches. With other smart drugs like Modafinil make sure you are drinking and eating as well as that (can be a benefit) is a side effect. Lets Buy Smart Drugs Online! Once you have decided to get started with nootropics, you will definitely look for the best place to buy them. Despite of the ever growing popularity, it is very difficult to find nootropics at physical health stores. And if you do find them at your local health store, you will find the less potent version. Therefore, it is recommended that you make your purchase online. The online stores sell a wide range of nootropics. It is recommended that you first conduct some research on your own. Finding a reputable supplier is key. The two most important factors that you should consider are cost and quality. This does not mean that the most expensive supplements will be of the highest quality. Read testimonials and reviews from customers in order to gain a better understanding of their experiences. This will allow you to appreciate the benefits of buying from a specific online supplier. Reputable online stores provide a Certificate of Analysis (COA) which certifies the purity of their products. This certificate can also tell you if there are any impurities or toxins in the products. 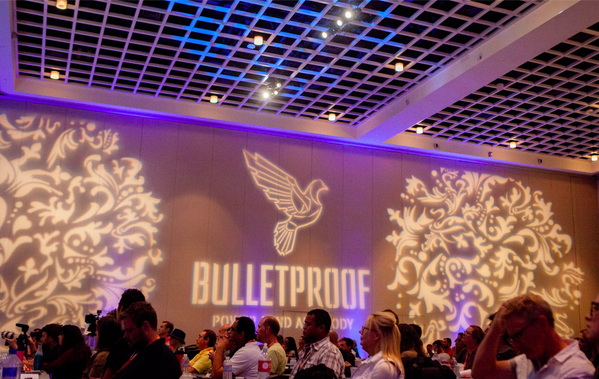 We wish you best of luck for selecting the best nootropics vendors to achieve your goals. There are many noted online vendors or brands popping all over the web. Your first (and possibly final) step should be going over to our Nutrition Store section and browsing the brands we recommend, which are listed at the top. Powdercity Supplements – This actually may just be the most trusted and frequented supplier online, based out the US. Reddit users can attest to their quality. They use to be called Health Supplement Wholesalers previously. 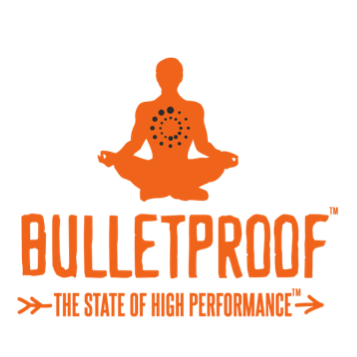 BulletProof – They have some supplements like GABA, Choline Force, and others. This is actually a pretty big company now and their quality is pretty exceptional. Definitely give them a visit. Ceretropic – They have some interesting sprays. Amazon For Nootropics – Can’t go wrong with their return policy and huge selection of mainstream supplements such as Vitamin B’s, Fish Oils at the cheapest prices. TrackMyStack Nutrition Shop – Few other things and ideas you may want to look into for when you start to buy smart drugs. More and more online vendors arise everyday to help users buy quality nootropics at an affordable price. Use the preceding information to help guide you while purchasing nootropics and starting this journey. The second part of the journey encompasses tracking your progress and reaching your health goal. Share this article with people you think need help finding/starting nootropics or that you think can use nootropics to help their career/school life. When we talk about innovation and advancement, we cannot leave aside the cognitive enhancement advancements being made almost weekly. There has been a lot of research done on natural herbs for brain enhancement to increase focus, memory and concentration. The researchers are calling these wonderful cognitive enhancers nootropics. A quick recap for those that don’t know. The word nootropics was coined in 1964 by Dr. Corneliu E. Giurgea. He coined this term to refer to compounds that enhanced memory without negatively affecting the brain. Nootropics are supplements and functional foods made especially for improving mental and cognitive abilities. They are believed to work by altering availability of the brain’s supply of neurotransmitters, hormones, enzymes and or oxygen among other things. Nootropics help with many things such as cognition, motivation, focus, concentration and brain energy. Different brain functions are enhanced/improved based on which cognitive enhancer is taken. They kindle the growth of nerves and improve oxygen supply. Nootropics is a great brainpower booster for many. Whether you are a student studying for a test or a business professional, these smart drug supplements will provide you the energy you want for charging your mental energy. They help improve sharpness of brain and equip you with the quality to think quicker and deeper. There have been many clinical trials done and are referenced on the supplement pages. Athletes, speakers, performers and executives of all kind rely on brain foods to enhance their mental energy, cognitive behaviour and IQ. The most common type of nootropics is known as racetams. People who have consumed have reported of enhanced mental energy and clarity in ability to think more clearly. Reading, writing and linguistic skills were upgraded. Aniracetam – Stronger than Piracetam and good for Input/Output (I/O) meaning it helps you remember and grasp ideas and concepts easily and recall things better while being an anxiolytic. Oxiracetam – Used generally for memory improvements with a stimulating effect (I did not notice this…) but it’s suppose to be kick-in quickly for instant mind power support. Noopept – Russian developed aid, claimed to be 1000x stronger then Piracetam. Helps with focus. Piracetam – It’s water soluable supplement that helps in increasing motivation and focus. The most well researched and personally recommended. You can take up to 10g of this stuff without any worries, however we advise going up to 4.8g every other day or as needed, broken down into 2 settings. You can look for Nootropics in foods like chocolate and green tea. It has been observed that phenethylamine and L-Theanine which are the natural chemicals in these food products are great brain foods. There is another article that was published here about foods that increase brain power. Keep in mind buying from reputable and trustworthy sources is key and as such I recommend visiting the Shop section of this site. There are many other stacks that can help you increase your brain power, feel free to search our nootropic stack database for specific keywords to see what others are taking. Caffeine + Brain Octane Oil – The butter is usually added to this coffee to stave off hunger and loose weight, which is not the case here. However, one thing you can keep in mind is that — Your body uses a lot of energy to digest food, that blood flow, could be going towards your work, so it may make sense to add that butter (Grass fed ofcourse) to your morning Concentration Stack. Adderall, Ritalin, Vyvanse – These are prescription drugs and are for people diagnosed with ADHD/ADD. These are ‘Medicinal’ amphetamines and provide a stimulant type feeling and are not generally considered ‘healthy’ and could be thought of as a bandaid fix to a bigger problem. Alphabrain by Onnit – One formulation that is popular in market nowadays is Alpha Brain. It is a supplement whose ingredients are extracted naturally, and are not prepared synthetically. People who have used this formulation report that these work very fast. If you want to become mentally sharp and increase awareness, you can use Alpha Brain. It also helps a user wake up early with more vitality and power. It contains AC-11, a rainforest superb herb, Huperzia Serrata, Bacopa Monniera and Alpha GPC. These ingredients make Alpha Brain, a superb Nootropics for boosting brainpower and enhancing creativity, focus and concentration. However, you can construct your own Ingredient Matrix (or stack) based on your own needs (biology). Start with Alpha GPC. You will find nootropics in the market in various formulations. They come with only one ingredient or with a combination of many ingredients. Every brain supplement will enhance brain activity and will work for improving one, two or many functions. When considering nootropics, you should refer to what others are taking, and build your stack 1 by 1 after careful testing. When in doubt, it is safer to go without a specific mineral you are unsure about. Stay tuned for my follow up articles on increasing brain power via video games, such as Dual-N back, Exercises/Yoga that can slow down or possibly reverse any brain fog you may have and lastly Apps and software that can help manage and keep track of your progress or even accelerate your progress towards improving your concentration. If you are looking for a simple and basic way to track vitamin intake, sign up for a account on our site. Happy Quantifying! Disclaimer: The below article is a guestpost by Ash Sharman (A nootropic enthusiast, who has submitted a few more articles to be posted on the topics of nootropics to us) and thus are not the views of Track My Stack. Provigil, popularly known by its generic name Modafinil, is a smart drug used for enhancing mental performance, reasoning and learning. It is used for improving wakefulness in adults. Many adults experience excessive sleepiness because of sleep apnea, shift work sleep disorder or narcolepsy. 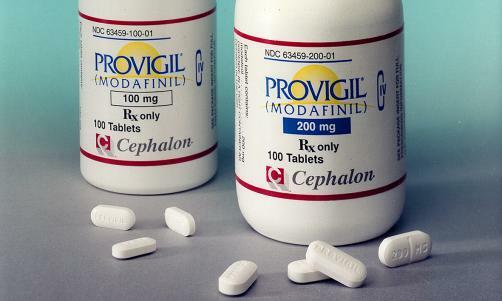 Researchers are not sure how Modafinil promotes wakefulness. One hypothesis is that it may increase dopamine levels in the brain by obstructing the reuptake of dopamine, a neurotransmitter that regulates the chemical signals from one nerve cell to another. The Food and Drug Administration (FDA) approved this drug for the cure of narcolepsy in 1998. It also approved its use for shift work sleep disorder and obstructive sleep apnea in 2003. Provigil has been portrayed as a magic pill. When consumed, it makes a person feel more eloquent and better equipped to perform complex and demanding mental tasks. It is popularly used in college campuses and high-stress profession that requires focus and attention to details. This is why it is common to find it on Wallstreet (in Finance) or in a developer’s (Programmers) medicine cabinet. You will enjoy hours of unshakable concentration for up to 15 hours after taking a single dose of up to 200mg. However, it is no adderall, it will keep you from feeling tired/sleepy/groggy which will allow you to keep focused. As the “fame and excitement” of this smart wonder drug is on the rise, fears about its abuse, addiction and withdraw dangers also takes the central stage. Some call Provigil a “Super Drug” as sometimes it is used for performance enhancement by military fighter pilots and soldiers during combat situations. It also enhances short-term memory allowing the users to remain awake for longer periods. 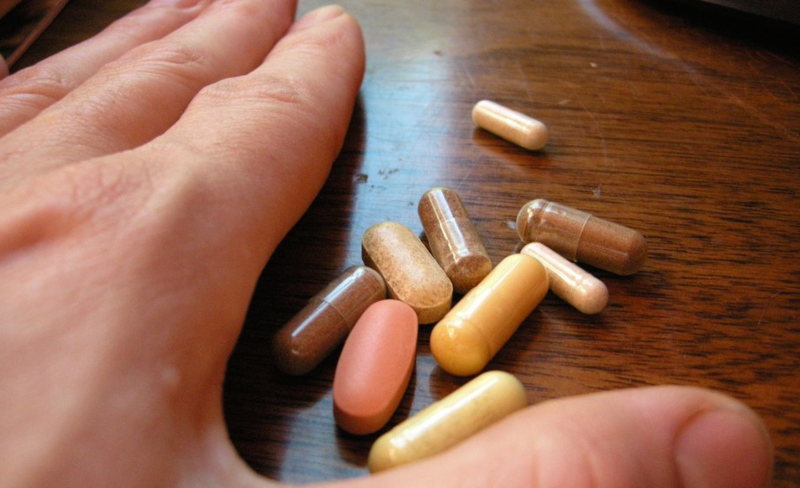 What are the key things you need to know about Provigil? Provigil is a federally controlled drug and should be used as per the direction of a GP. You should store it in a safe place to prevent abuse or misuse. It is against the law to sell this drug to another person. The drug is not approved for use in children for any medical condition. And, it is still unknown whether it’s safe or works for children under the age of 17 or not. Individuals that show signs of sleep apnea use this drug in combination with other medical treatments. Provigil can lead to grave side effects including a serious rash or an allergic reaction affecting your liver and blood cells. The side effects are life-threatening and require medical treatment. You must stop taking the drug immediately and seek medical help if you develop a skin rash, blisters, rashes, yellowing of the skin, dark urine or have trouble swallowing or breathing. Provigil comes in two strengths, 100 mg and 200mg. It is generally taken during morning hours to prevent daytime sleepiness or one hour before the start of a work shift. If you consume too much Provigil, you will experience nausea, diarrhea, confusion and (obviously) have trouble sleeping. People who have used Provigil for the long term and stopped did not show any physical withdrawal issues. It is assumed Provigil gets its effect by releasing CNS histamines in the brain. These agents create targeted stimulation of neurotransmitters which causes Provigil’s effects of wakefulness and alertness. You may experience a headache with Provigil/Modafinil use which may require you to consume a lot more fluid/or food as your appetite may get suppressed without you noticing it. It could also be because your dose may be too high to start and other users have said choline/uridine MAY help. Everyone’s biology is different, stop use if the headaches don’t subside. If you fear of any Provigil abuse, or have any history of substance abuse, it is good to take some other natural nootropics that present less issues. Keep in mind, Modafinil isn’t necessarily addictive per say. If you do start taking Modafinil consider using our platform as a medication tracker tool to make sure you have no negative interactions, your dosing correctly and to get general feedback from our users. It is important to be little careful while using Provigil as some of its side effects can be very serious (even though they affect a very very small percentage of the population). It should not be used without prior consultation of doctor in any case if possible. Feel free to also browse around our site and explore stacks for nootropics to see what others are taking. Beef Liver – It’s high in vitamin b12, provides energy for the brain. B12 deficiency causes nerve and brain damage. This meat rather than lamb, pork tips, contains the highest b12 content. Asparagus – Protects your brain from dementia and stroke because of its vitamin and mineral content, it also shields it against MCI, stroke and Alzheimer’s dementia. Fish (and Omega 3 Fatty Acids) – 50% of your brain is made up of fat and the vast majority is fatty acid called DHA, which is a major component of fish or Krill Oil, you should be consuming this for your general health anyway. Coffee – Caffeine improves attention span, psychomotor performance and cognitive function, as well as and feelings of well-being, is readily available. Tip: Stack with L-Theanine for a calm attentive focus. Avocado (Omega 3/Omega 6) – High in fat content and the oleic acid helps with myelin which helps information travel faster in your brain. Oleic acid makes up 1/3rd of the fat in myelin and related foods like almonds and pecans are helpful in speeding up the messaging in our brains. Coconut oil (medium chain triglycerides or MCT) – Ketones are a fuel to a starved brain, MCT oil provides instant energy to the brain without requiring glucose or sugars or carbs. Broccoli (calcium/vitamin C) – Broccoli is a good source for lignans, a compound that has proven to improve thinking, reasoning, remembering and learning. Additionally it is also high in glucosinolates which halt the decline of neurotransmitter acetylcholine. Brussel sprouts can do the trick here as well. Spinach (folate and vitamin E) – Spinach is packed with antioxidants that block free radicals. The accumulation of free radicals in the brain is linked to mental decline. Tests on rats showed, rats performed better on a memory and learning test that were fed spinach. Blueberries could be a good alternative as well. Bonus: Tomatoes (lycopene) – Tomatoes help your brain! Lycopene too is a powerful anti oxidant found in tomatoes, which helps protect against damage that can lead to things like Alzheimer’s. Let us know if there is any other top foods we have missed, also if you enjoyed this tip and want to see more in the form of pictures, follow us on instagram by clicking here. PPS. 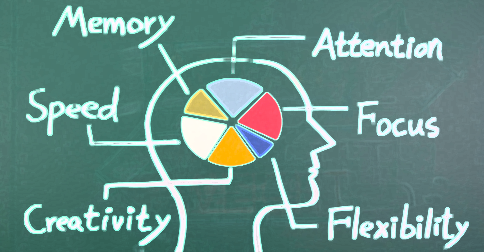 Check out our entire list of supplements and vitamins here to improve cognition as well.